Long time readers of the Disney Parks Blog know I have a special place in my heart for the happy little Orange Bird. He returned to Adventureland at Magic Kingdom Park in 2012, and can now be found in the Sunshine Tree Terrace location. 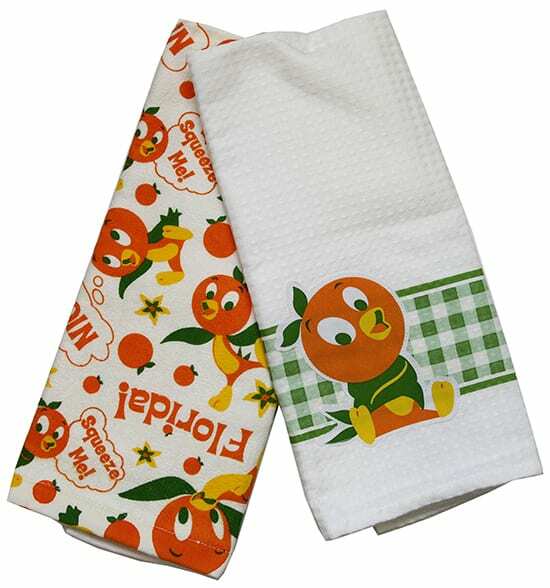 Last year, we introduced several Orange Bird-themed products at Disney Parks (yes, I have them all). I’m happy to report additional items will be arriving soon. These new home décor items will include two small kitchen towels decorated with Orange Bird graphics. 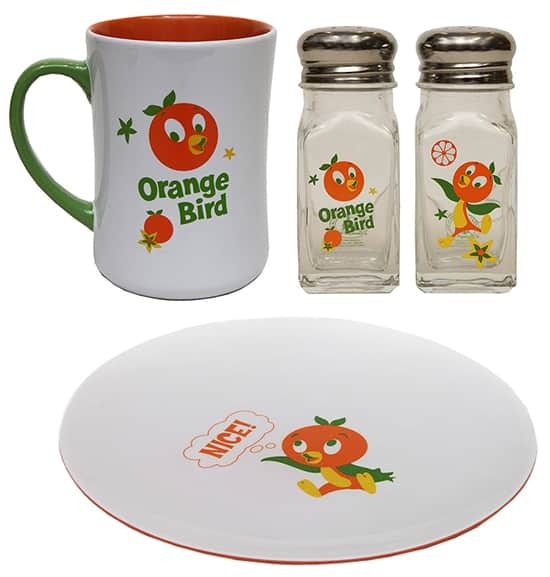 An Orange Bird coffee mug, small dish, and salt and pepper shakers are also planned. These items were designed to complement the previously released bowl, orange juice pitcher and small juice glasses. I can’t wait to “Think Orange Thoughts” while enjoying my morning cup of coffee! One of my favorite items (besides the coffee mug) will be the new, open edition retail MagicBand coming this December to select Walt Disney World Resort merchandise locations. 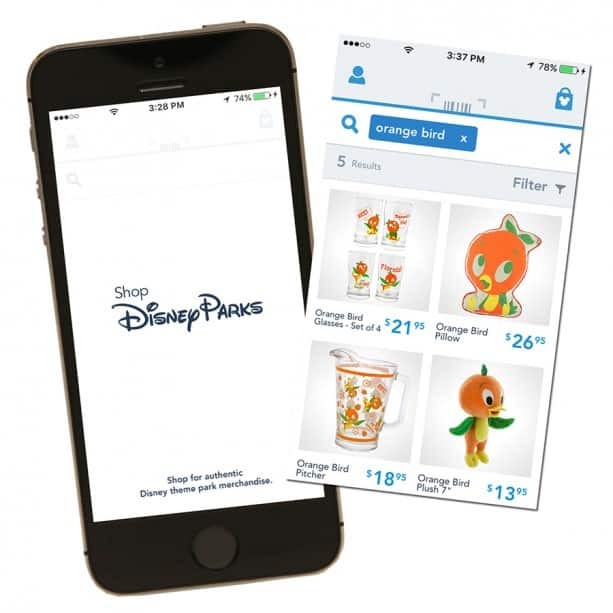 Once these items are released at Disney Parks, you may find select products using the free Shop Disney Parks app. This video shows you how easy it is to use the app to find favorite Disney Parks merchandise and have those items shipped directly to your home. Love it all! Any word when and if the Orange Bird juice glasses will be available? Has anyone been able to find the mug anywhere?!!! I need it for Christmas!!!! It wasn’t in adventureland. They took all the Orange Bird merch out of the California retail locations (World of Disney and DCA). I’m so disappointed! Do you know if these new items will be available in California? I can hardly wait for the Orange Bird magic band! There is so much love for this awesome little guy! A Huge Orange Bird Fan! Oh! I have been big on decorating my own Magic Band, but I have to have that Orange bird! 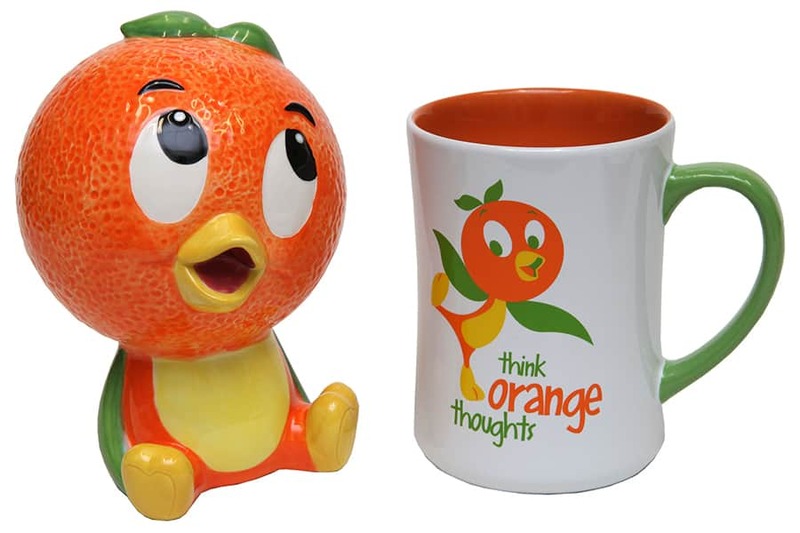 Thanks so much for great Orange Bird Merchandise. I’m smiling now. Please keep the merchandise coming! Hey these are great home decor ideas you have shared. I guess it is pretty nice and looks great too. Thanks for your sharing. I missed being able to get an Orange Bird tshirt when he was first brought back. It had an image of the Orange Bird and said “I look good in orange”. Any chance this tshirt will become available again? Quick question, @Steven: Why do I keep seeing Orange Bird stuff all over the Disneyland shelves? Unless I’m mistaken he’s specifically a Walt Disney World character. 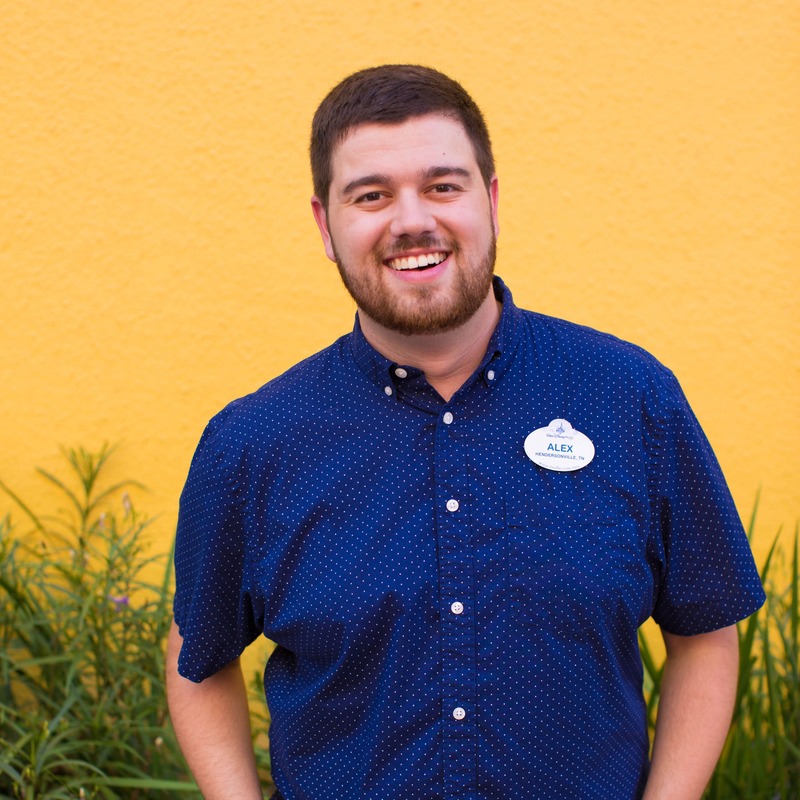 He’s cute and all, but what does he have to do with Disneyland? You keep Figment merchandise exclusive to Walt Disney World. Why not do the same with Orange Bird? Thank You! Finally Orange Bird makes it to the magic bands! And even more goodies for the collection! I simply can’t wait! Love the Orange Bird and love the retro feel of these items (except the MagicBand, of course! ), like it was all lost in a warehouse in 1975 and just re-discovered. We love the Orange Bird and are very happy to see more of him!!! Really love the magic band and the plush! THANK YOU!!!!! The Cult of Citrus thanks you. Now when can we see the Orange Bird meet-n-greet return?? My group of friends just LOVE Orange Bird. I’m going to need another wrist for all these new bands lately! 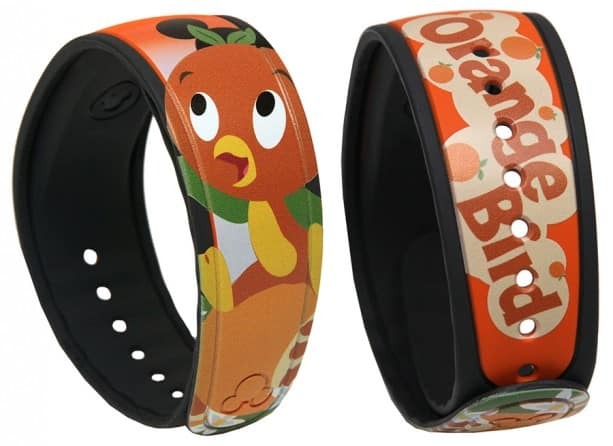 Do you know if there are any plans to release the Orange Bird design on the custom bands? @Jane – Great question. The retail MagicBand won’t be released until December. It’s a little too early to say, yet they may add it at a future date. OMG!!!!!!!!!!!! I need it all!!!!!!! Love the Orange Bird!!! 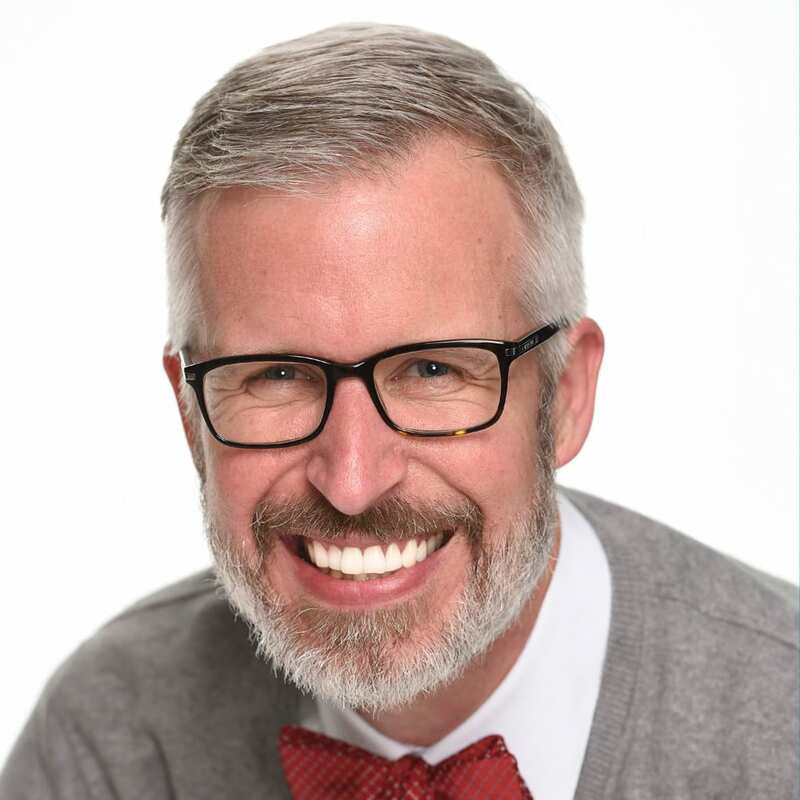 Steven, thank you for sharing the great news about Orange Bird! I can’t wait to redo my kitchen. I’m so glad the magic bands will be open edition. 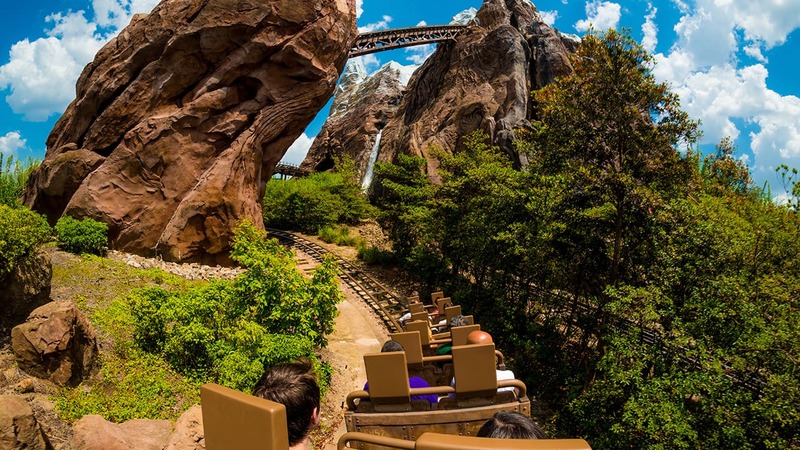 I might have to plan a trip to Disney World soon! When you say “soon” are we talking a week or “the holiday season”? I would sooo like to get all of these with my Annual Pass discount before it expires in the beginning of November. @Rachel – I don’t have a confirmed release date as items will be arriving at different times. Probably more in mid-to-late November and into December. YESSSS!!!!! Some more Orange Bird love! Thank you Steven for this sunny news on a Monday morning! @Melanie – You’re welcome. Hope you enjoyed a glass of orange juice while reading it. Steven – Do you know if this new Orange Bird MagicBand will be added into the new MagicBand On Demand system? @Ethan – Since the MagicBand won’t be released until December, it’s too early to say. That may be an option.